The idea that “we are what we eat” has motivated numerous ever-changing food trends over the years, often in the absence of firm scientific evidence to support potential health benefits. 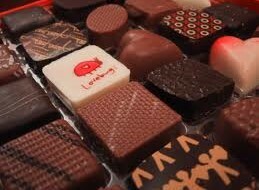 As such, several foods like chocolates are often perceived as bad for our health probably because of how tasty they are. Its consumption has been associated with acne, obesity, high blood pressure, diabetes among other health problems. Phenolic compounds in cocoa have, however, changed this perception and stimulated research on its effects in aging, oxidative stress, blood pressure regulation, and atherosclerosis. A study using data from the European Prospective Investigation into Cancer (EPIC), carried out to evaluate chocolate consumption and cardiovascular outcomes, showed that higher chocolate intake is associated with a lower risk of future cardiovascular events. As part of its dietary benefits, studies have also shown that chocolates are a source of flavonoid antioxidants, which are believed to have a beneficial effect on endothelial function and protect against cardiovascular disease (CVD). So, this may be exciting news for some as you may not have to feel overly guilty the next time you munch a piece of chocolate. However, a recent study shows that some of the researches that have successfully proven chocolates to be a completely healthy food, are actually sponsored by the chocolate industry. According to an article published on Flipboard, over the past 30 years, food companies like Nestle, Mars, Barry Callebaut and Hershey’s – among the world’s biggest producers of chocolates – have poured millions of dollars into scientific studies and research grants that support cocoa science. “Mars and other chocolate companies, made a conscious decision to invest in science to transform the image of their product from a treat to a health food,” said New York University nutrition researcher, Marion Nestle. From all of this, just as with everything else perhaps one can only say having a healthy balance is key. Nigeria being a member of the World Trade Organisation has its market open to an influx of foreign products providing variety and quality. This, however, has left the country dependent on imported goods, including those that can otherwise be produced locally, such as chocolates. Ogun, Ondo, Osun, Oyo and Ekiti states account for the about 60% of cocoa (Theobroma Cacao) produced in Nigeria and in turn makes up to at least 30% of cocoa export. Cocoa exports contribute about 0.05% of the nation’s GDP, following immediately after crude oil exports, the largest revenue earner. But experts believe that the right environment and an increase in the production of chocolates domestically can earn good money for the nation. 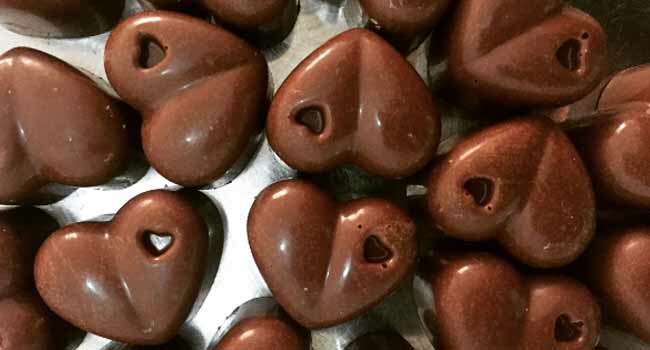 While chocolate production in Nigeria has yet to develop into a full-blown industry, few individuals have taken up the initiative to begin making quality chocolates. One of such individuals is the C.E.O, Loshes Chocolates, Femi Oyedipe. In an interview with Channels Television, she shared about why she went into the business of Chocolate making and explained that though there have been difficulties so far, it has indeed been a journey worth the while. Processing cocoa or producing chocolates locally, like most manufacturing activities in the country, is, however, fraught with challenges. Speaking to Channels Television, Director of Advocacy and Research, Lagos Chamber of Commerce and Industry, Vincent Nwani, expressed his views on how the local industries can be revived and in turn import rates can be minimised. According to him, while the borders need to be tightened in order to prevent the influx of products, another way to ensure less imports and more local production is to renegotiate or completely exit some bilateral agreements some of which the nation actually does not benefit from.